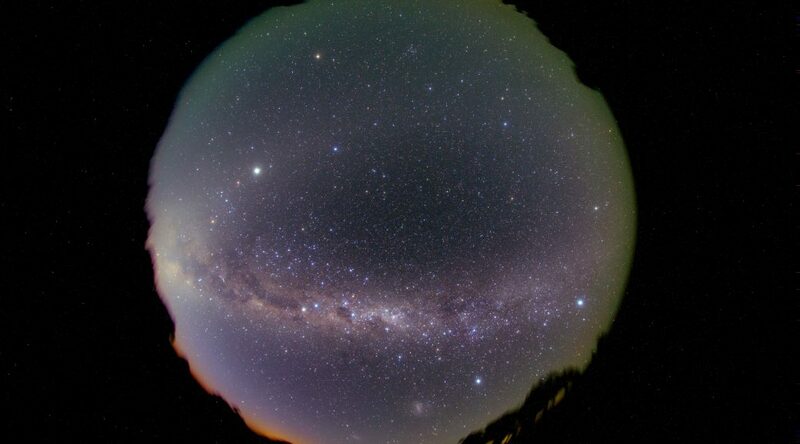 Fisheye view of the Southern Milky Way. 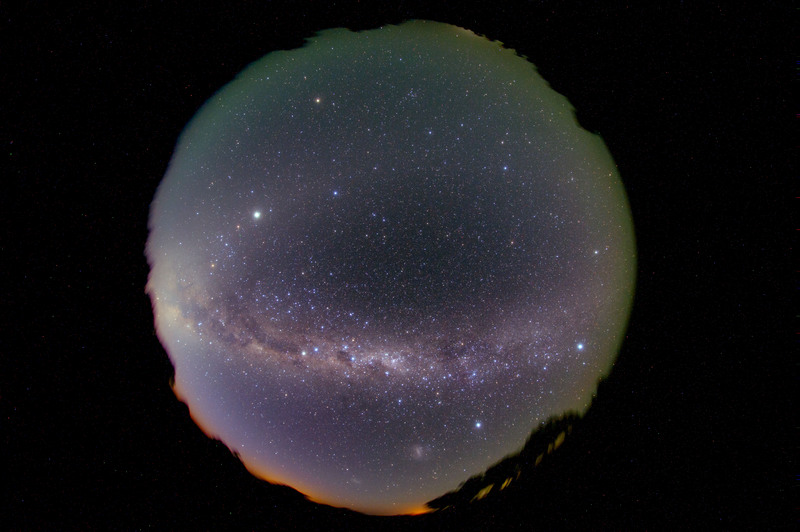 Green aurora is also visible near the horizon. 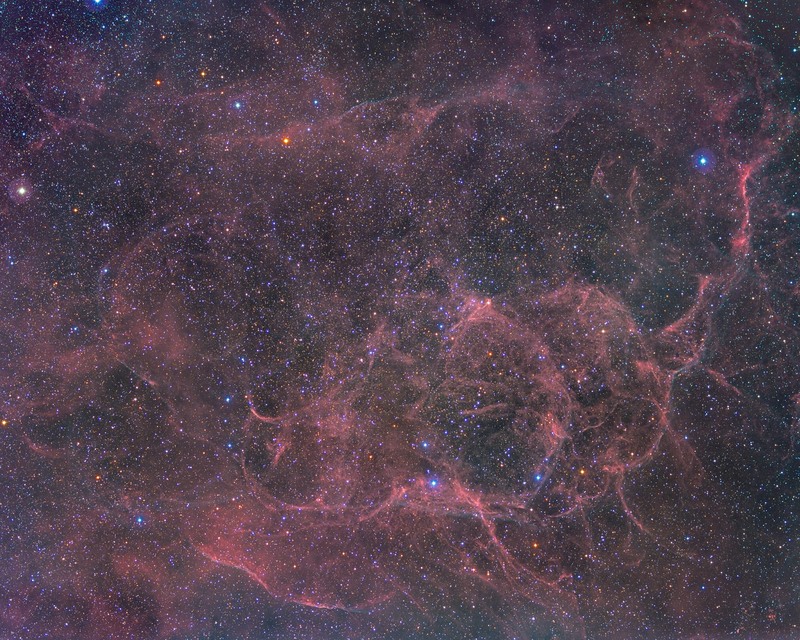 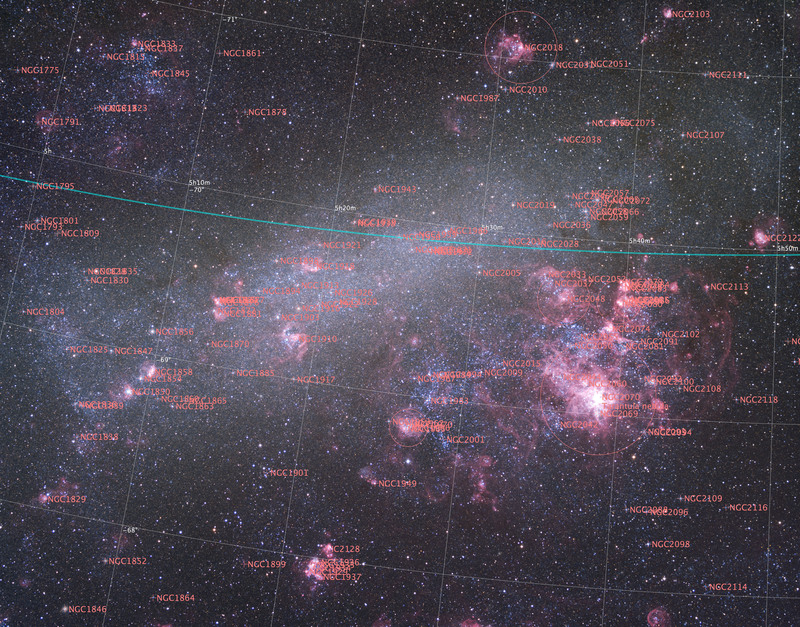 Vela Supernova Remnant – the very faint SNR in the southern hemisphere. 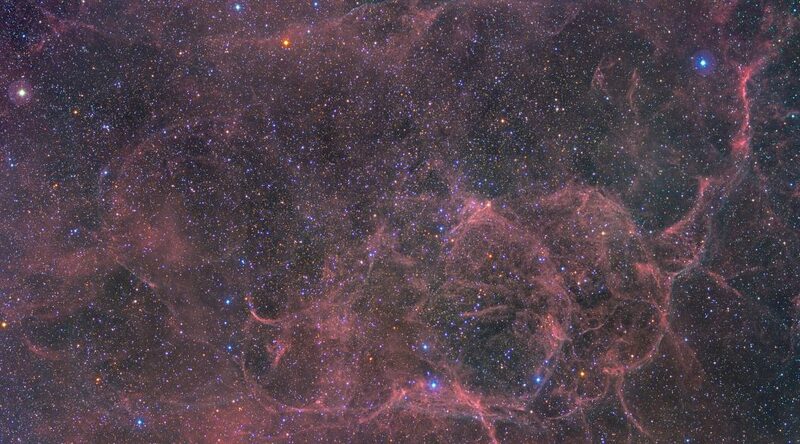 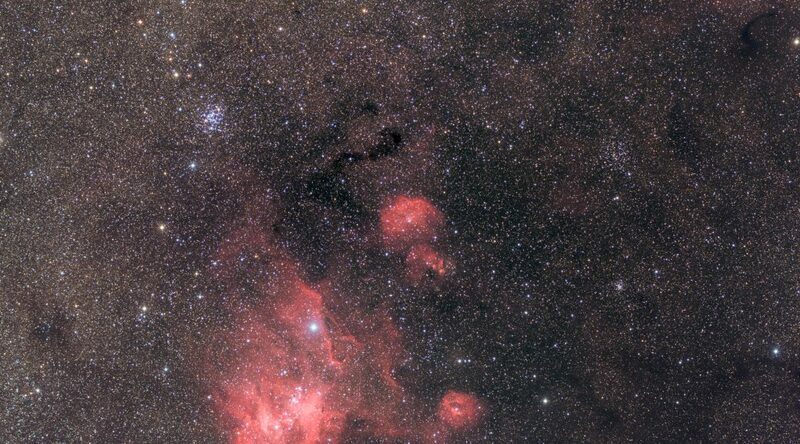 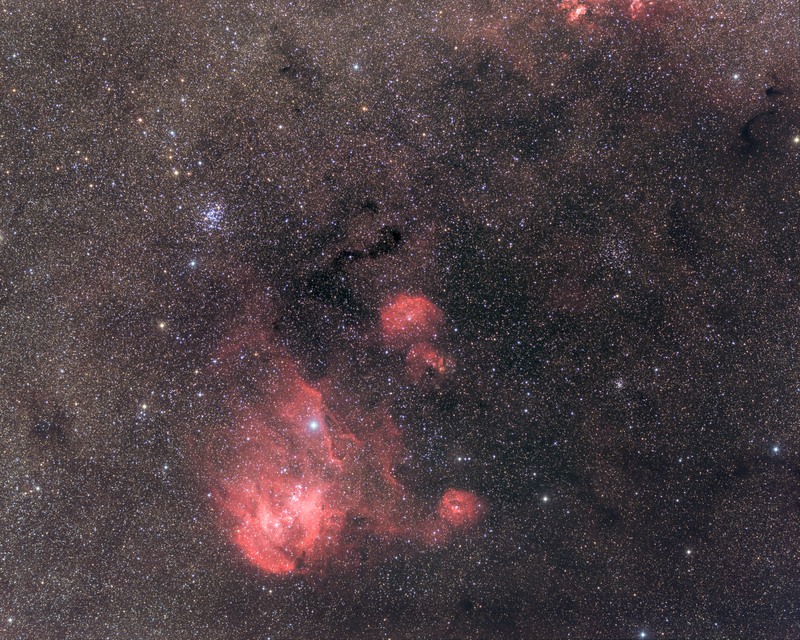 Vela SNR, in Gum Nebula, is very faint SNR exploded about 11,000 years ago. 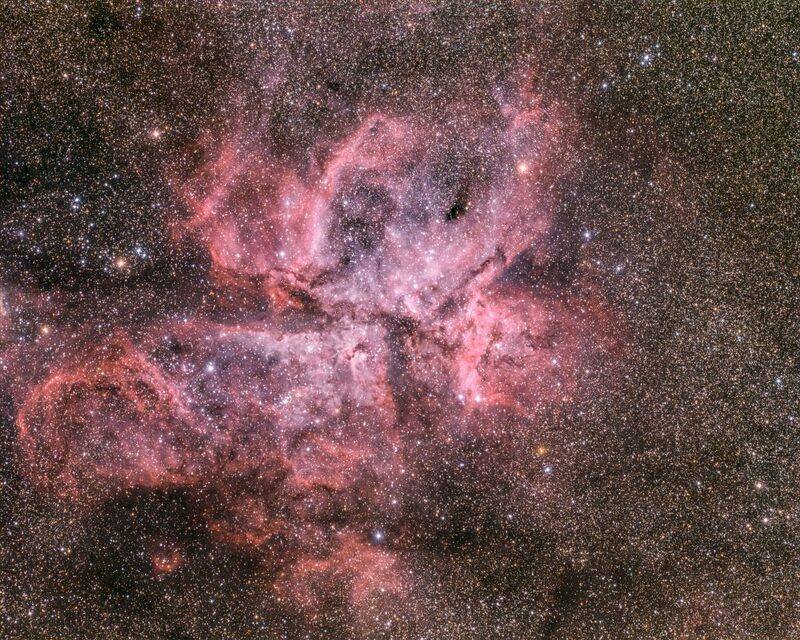 Widefield view around the Eta Carina Nebula. 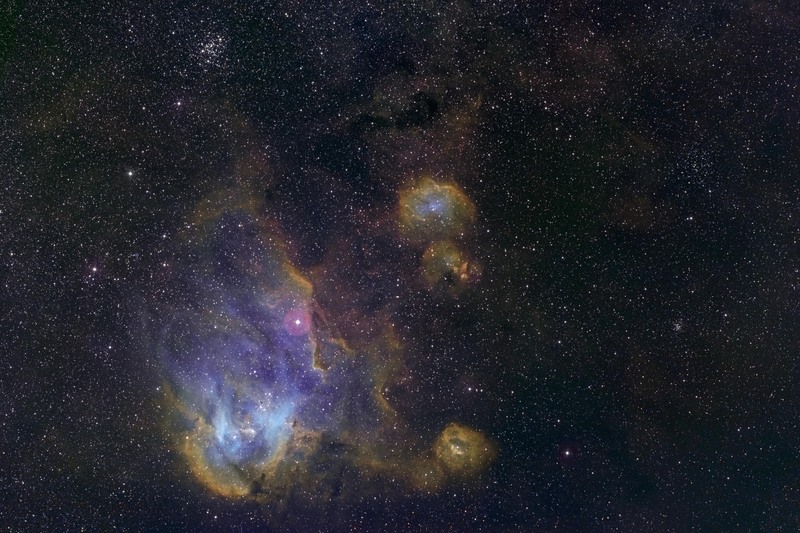 Eta Carina Nebula, Southern Pleiades can be seen well. 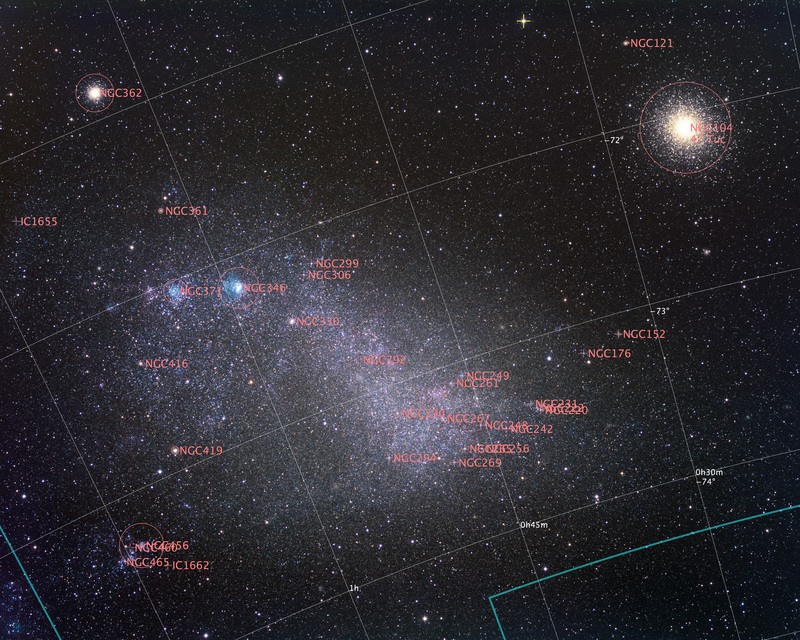 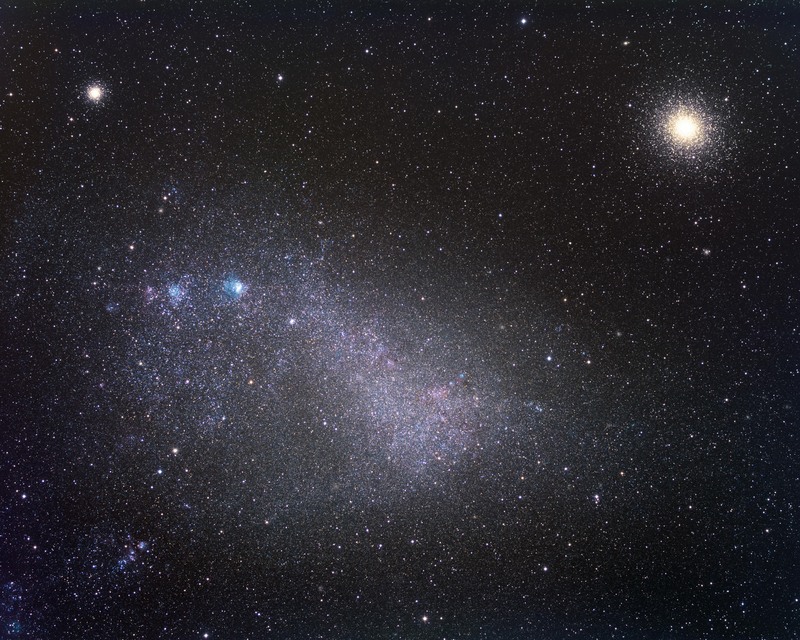 Small Magellanic Cloud, one of the closest galaxy from the milky way, with 47 Tuc, one of the brightest globular cluster. 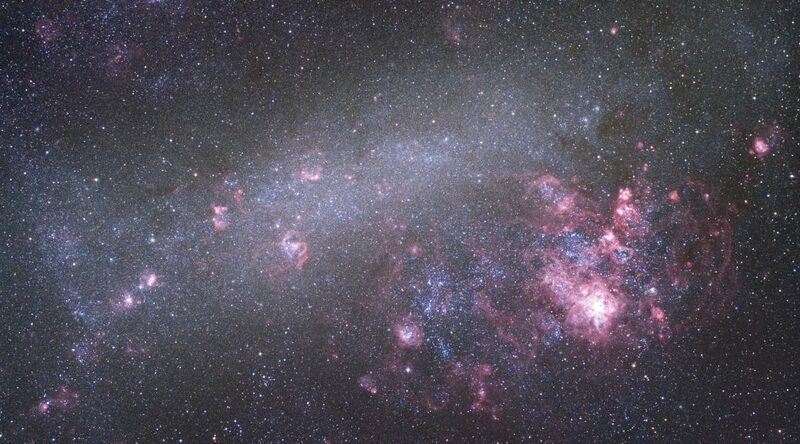 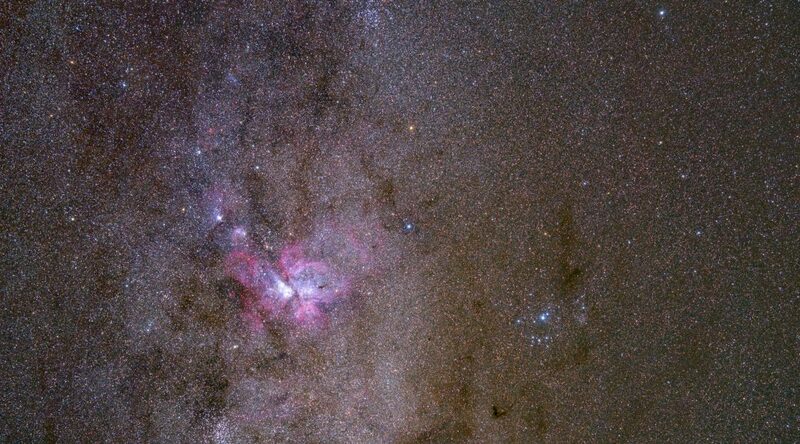 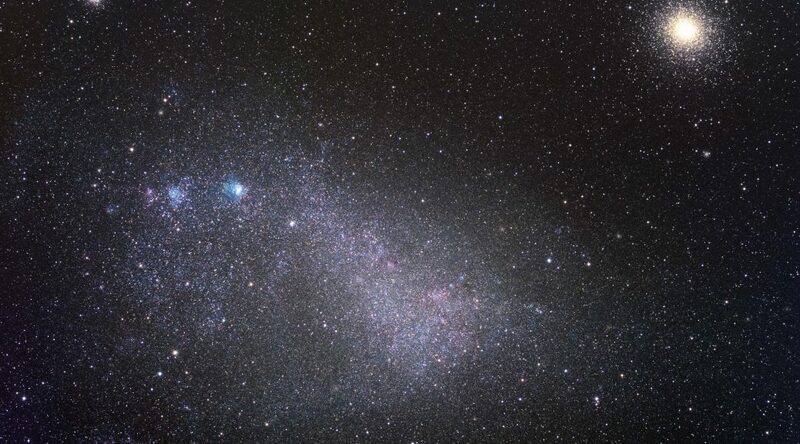 Large Magellanic Cloud, LMC is one of the closest galaxy from the milky way. 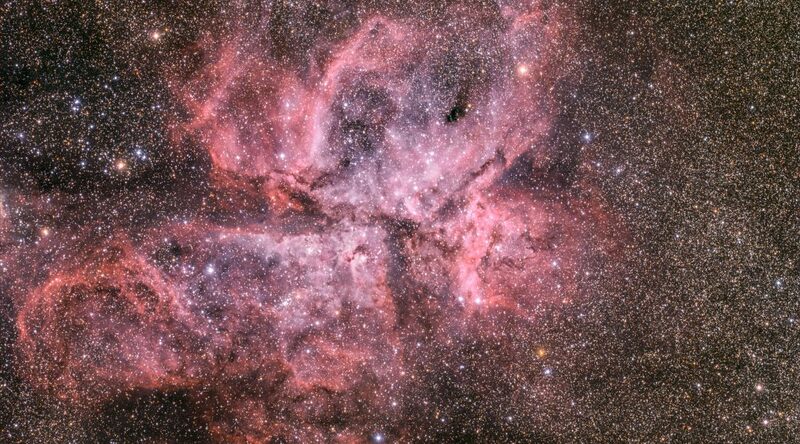 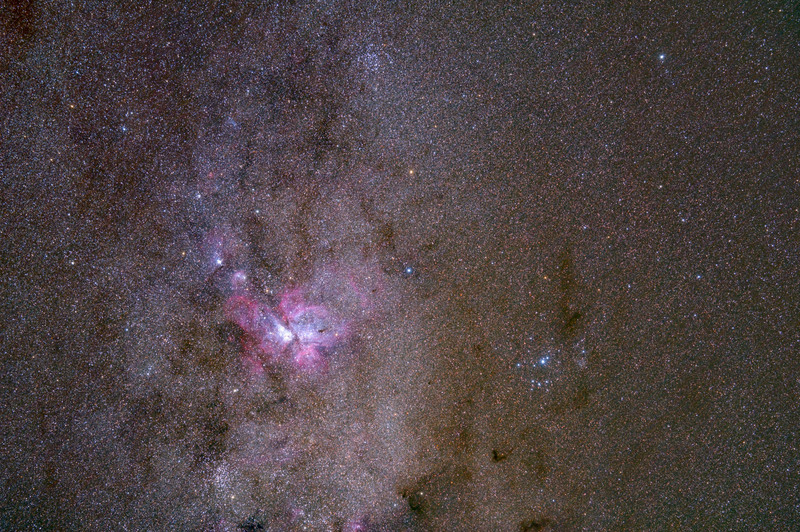 The Carina Nebula surrounding Eta Carina – One of the brightest nebula in the sky.